If you need emergency roof repair, contact Straight Line Roofing. Our emergency response team is ready to provide fast, reliable roof repair. Emergency Roofing services are needed in many circumstances. 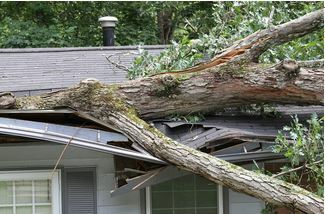 Wind and heavy rain can damage your roof, or that tree limb that you have been meaning to removed can finally decide to fall on your house and cause major roof damage. This kind of emergency needs immediate attention, so you can prevent any further damage to your property. Our professional roofers will have your home or business safe and dry in no time. Straight Line Construction is a trusted GAF Master Elite Roofing Contractor in the Shingle Springs, Auburn, Elk Grove, Folsom, Placerville, Cameron Park, Rancho Cordova, Roseville, Sacramento, El Dorado Hills and Plymouth areas. Let us help you get your life back to normal with quality emergency repair services for your home or business. Our team will help you through the insurance process. Trust our experience and professionalism. Offering Emergency service to help you in your time of need.